Imagine that you have mulitple video input devices and you would like to select and use one of those devices. 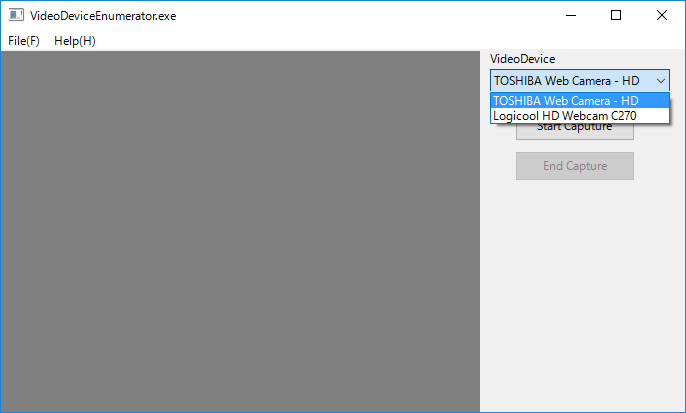 In Windows, you can get all video input devices informatiion by using COM interfaces of CLSID_SystemDeviceEnum, and CLSID_VideoInputDeviceCategory classes. If you are familiar with COM interfaces, you can easily enumerate all video devices by using those interfaces as shown below. 1 Create an interface of ICreateDevEnum by using CoCreateInstance. 2 Create an interface of IEnumMoniker by using CreateClassEnumerator from the ICreateDevEnum object. 3 Get an IMoniker interface from the enumerator, and bind the moniker to an IPropertyBag interface, and read "FriendlyName" from the bag. 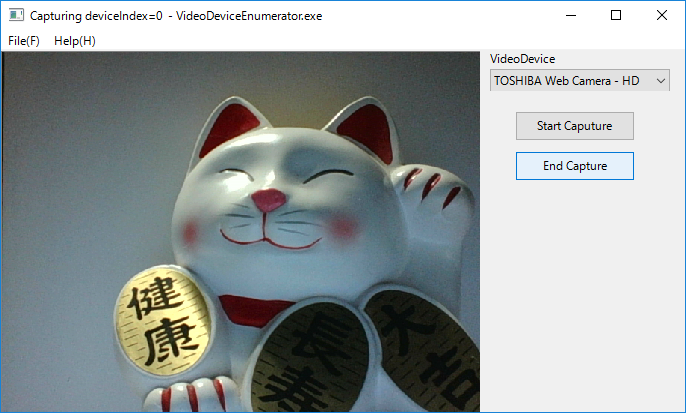 In OpenCV VideoCapture applications of SOL9, you can use the LabeledVideoDeviceComboBox class to select a video device by name from the ComboBox, and get a video device index which can be used as an argument of open method of cv::VideoCapture class. * Copyright (c) 2017 Antillia.com TOSHIYUKI ARAI. ALL RIGHTS RESERVED. //to original imageview and blurred image view based on cv::boxFiter. //This method will be called from the event loop OpenCVVideoCaptureApplition::run. Copyright (c) 2017 Antillia.com ALL RIGHTS RESERVED.